What must Pakistan do to beat polio? (1/22/2015) – Pakistan has yet to report a new case of polio in 2015 – but officials are keeping their fingers crossed nonetheless. In recent years the Taliban have banned vaccinations in areas under their control, while scores of health workers or policemen guarding vaccine campaigns have been shot dead by gunmen. Man in iron lung discovers Rotary (1/22/2015) – One might think a man living with polio in an iron lung would know about Rotary. But it wasn’t until Paul Alexander had a business meeting with a member in Duncanville, Texas, earlier this year that he learned Rotary fights to eradicate the very disease that left him almost completely paralyzed. 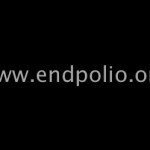 Polio at 60 (1/22/2015) – Greg Maskalick is a Past President of RC Church Wilne and is a member of the District Foundation Committee. 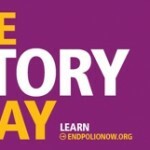 Kirkby prepares for End Polio week (10/15/2014) – Kirkby in Ashfield share their plans for End Polio Day on October 24th.